Three Inspiring Presentations Yield One Successful Charity! 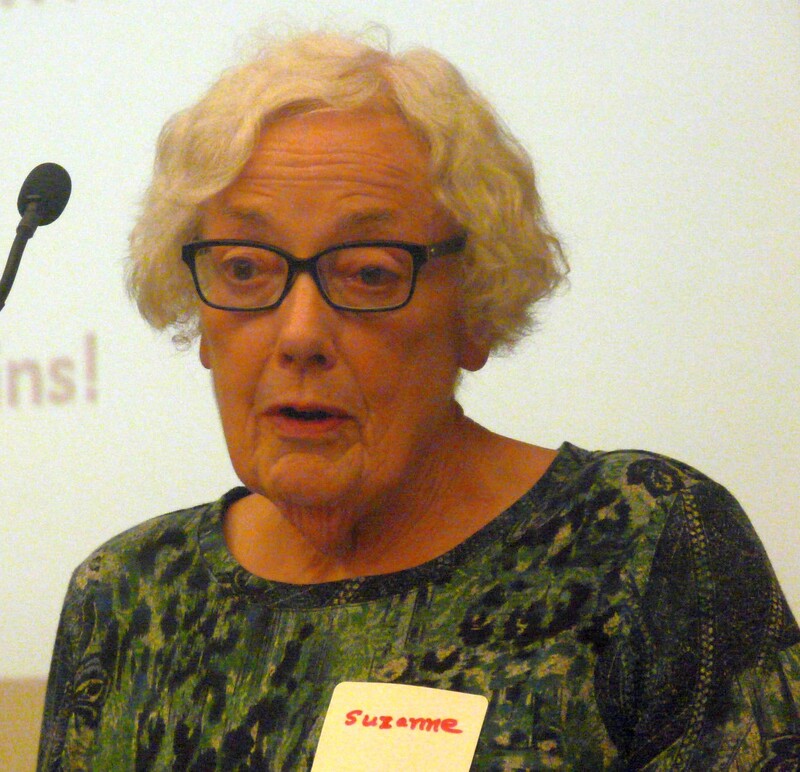 Spirits were high among members at our meeting on Wednesday night – perhaps it was the appearance of the sun on a day where Spring seems to be slow to bloom. Perhaps it was just our enthusiasm to listen to new ways to support valuable community not-for-profits. 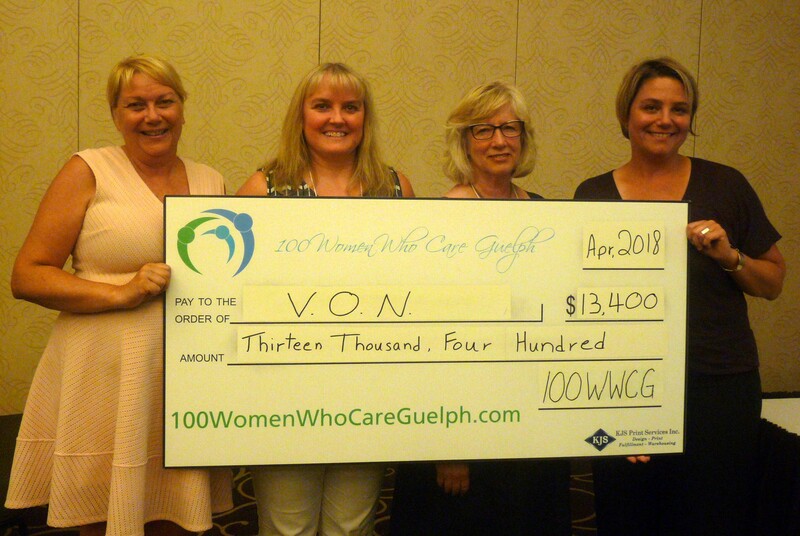 With 153 committed donations, we held our nineteenth meeting of 100 Women Who Care Guelph at Cutten Fields. At 6:00 pm, we kicked off the evening with our networking session, sponsored by our valued 100WWCG member, Sandra Lastovic of The Mortgage Centre. Sharon expressed the group’s sincere gratitude for Sandra and her organization’s generosity and encouraged members to check them out skipthebank.ca or on Instagram and Facebook. Sharon also let those assembled know that several members had stepped forward to take on volunteer positions in charge of specific tasks which will help the organization. At this point, Erin Moore has assumed the role of volunteer co-ordinator and Carol Dillworth and Peggy Brightwell will be our cheque chasers. Sharon thanked our new volunteer “work crew” for offering up their time to the organization and invited them to the front for a photo op. 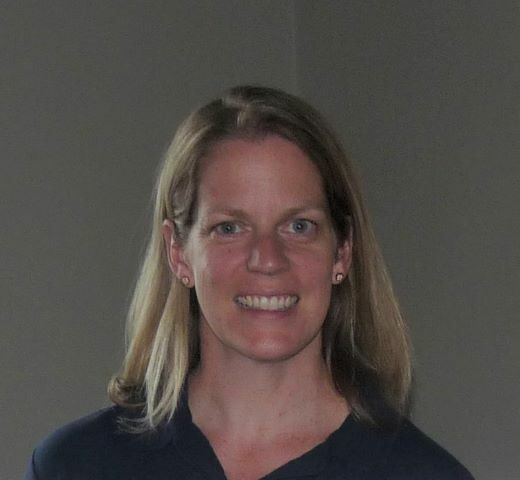 (missing from tonight’s admin team introduction was our charity nomination vetter, Lisa Hood). We are still hoping a member will step forward to become our meeting photographer. Interested members should contact Sharon Lewis (519) 780-0468 or Tannis Sprott (519) 763-1172 as soon as possible. 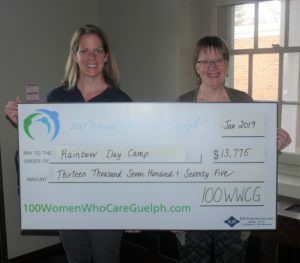 Tannis Sprott and Jennifer Harrison pose with a “big cheque” for Rainbow Day Camp. 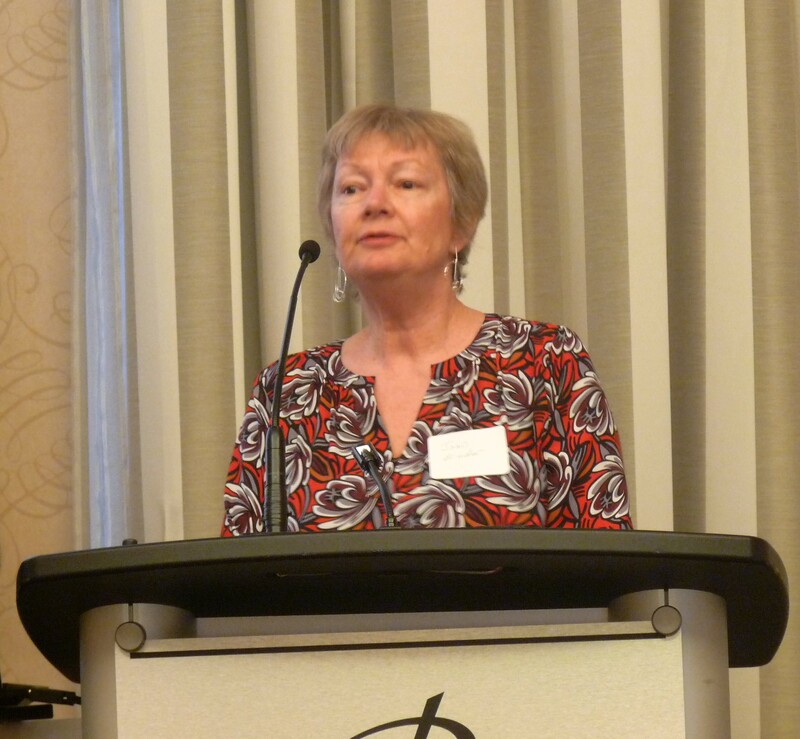 Lillian Wilson presented on behalf of Hospice Wellington. This organization provides a variety of services to support those individuals of Wellington County living with a life-limiting illness, as well as to their families and caregivers. Hospice Wellington offers group support programming, art therapy, one-to-one volunteer visiting, hospice palliative care in a 10-bed residence and Day Away respite for caregivers. Money requested would be dedicated towards refurbishing the residence’s sun room, a comforting space where patients share memories, reflect and make final plans. 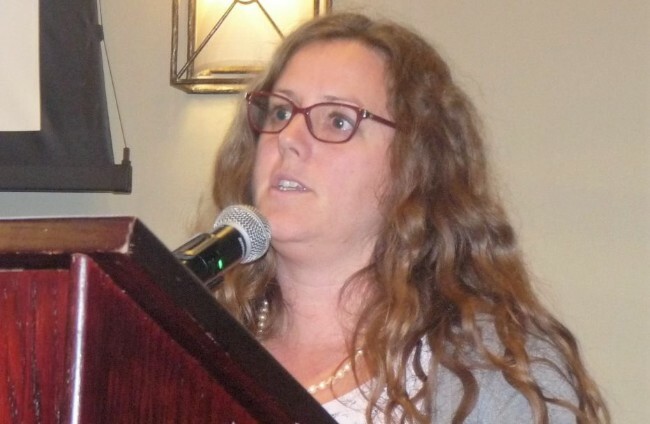 Lorna Ronald presented on behalf of Hope House, a poverty relief organization which provides compassionate assistance, with the emphasis on providing clients with “a hand-up, rather than a handout”. This organization’s initiatives include backpack and hamper drives and a free choice food market, as well as dental and haircut programs. Money requested would be dedicated towards the Hope House community backpack program which provides children with a backpack filled with school supplies for the first day of a new year of school. Margaret Middleton presented on behalf of Society of St. Vincent de Paul, a lay catholic organization with branches found around the world, which has been active in our community for decades. This organization has the goal of serving those in poverty among us with love, respect, justice and joy, regardless of religious affiliation, and with a heavy emphasis on the personal touch. As part of that mandate, the organization supports local thrift stores within impoverished communities. The Guelph thrift store is committed to providing emergency food, clothing, furniture and household items to its clients. Money requested would be dedicated to a bed program which would furnish brand new clean beds to clients in need.After each presentation, we took the opportunity to dig a bit deeper into the charities with a few questions to clarify any issues which had not been addressed. Members enthusiastically asked for more information about the programs supported by our targeted donations and funding models of each organization. 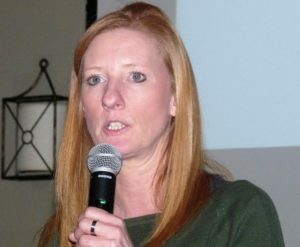 Once all presentations had been made and all questions were answered, members voted for this quarter’s successful charity.As members’ votes were being tallied, Jennifer Harrison, the administrator of last quarter’s successful charity, took the opportunity to express her sincere thanks to members. At a time when Rainbow Day Camp is facing cuts to grant money and when families with children who have special needs are seeing reductions in funding, the support we are providing through our January donation will pay for 3 inclusion counselors for the entire summer – an incredible benefit to the organization and the children it serves. 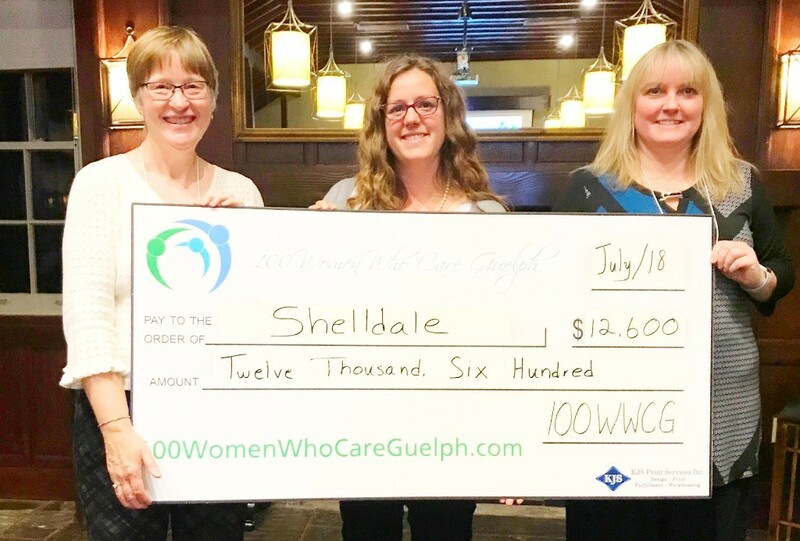 Members were thrilled to watch a short video which demonstrated the substantial impact their donations will make to this valuable Guelph community organization.To read the full transcript of her comments, follow this link. The second chosen charity of 2019 is Society of St. Vincent de Paul. Our donation is slated to be used to assist with their bed acquisition program. If you missed the meeting, you’ll find instructions about how to send in your cheque below. You can also make your payment online by following this link! Please arrange to make your donation as soon as possible. Congratulations to our newest 3 Year Pin recipients! This entry was posted in Notes on Meetings on April 21, 2019 by Miriam Vince. Thank you for having me here this evening – it is an honour to be a recipient of such an incredible donation. Although you probably think you know what a difference this money will make to our organization, you probably don’t REALLY know. The gratitude I feel is difficult to put into words. We run a very traditional day camp – we do crafts, play games, break out in song (a lot! ), run around, make music, have spontaneous dance parties, decorate cookies and the list continues. All of this is done in a very nurturing, welcoming, diverse and loving environment. 20-25% of our campers have special needs of varying degrees. Some need just a bit of extra support while others need full one-on-one support from a trained counsellor who is there to ensure they are as successful as possible during their time at camp. Success at camp is measured in many different ways – sometimes it’s achieving a goal like jumping off the diving board or putting one foot in the water while other times it can be as simple as a camper asking for his parents 10 times during the day instead of the typical 100 times! All successes are important and one is not better or more important than the other. As with many other groups who work with children with special needs in our area, we have been dealing with cuts to grants, autism services and our families are dealing with losing many of their financial supports. More than ever, we are delighted to be able to offer the things we do – supporting kids at no extra cost to families. It is an extremely expensive program to run but we feel it is an integral part of the work we do, not only for the kids using support but for typical kids as well. It is incredible to see how much all the kids learn from each other. We typically have 5 inclusion counsellors per week at Rainbow but this year, after many funding cuts across the board, we were looking at having only 2. The almost $14,000 from 100 Women Who Care will pay for 3 inclusion counsellors for the entire summer. The word INCREDIBLE comes to mind. From the bottom of our hearts, thank you. The impact that these funds have on our camp are immeasurable – the ripple effects can and will be felt for years. This entry was posted in Chosen Charities say Thanks on April 18, 2019 by Miriam Vince. Stay tuned to this page. We are expecting to publish these comments by January 20, 2019. This entry was posted in Chosen Charities say Thanks on January 16, 2019 by Miriam Vince. 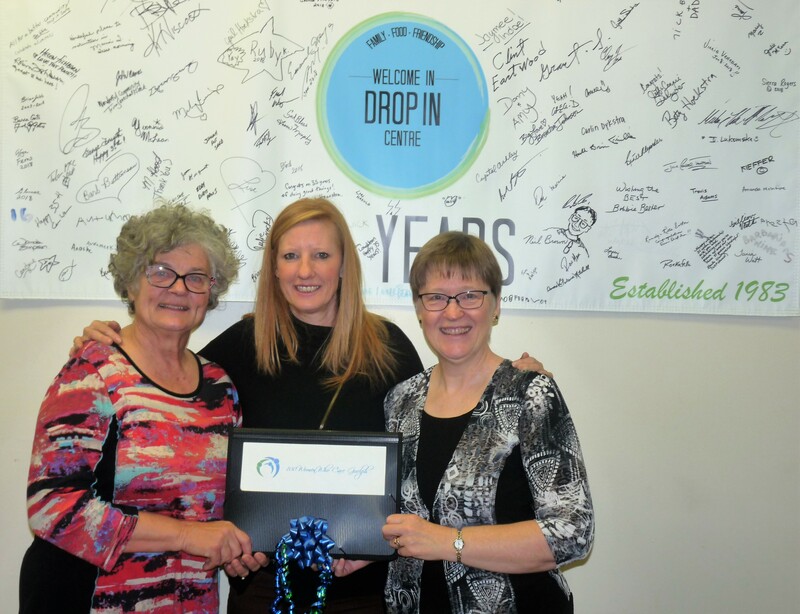 The Drop In Centre is the Recipient of our Meeting Seventeen Donation! A great new location, three fantastic presentations and one successful charity! 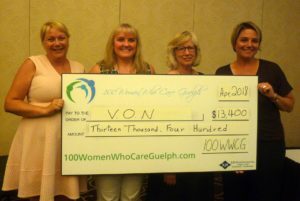 We kicked off our seventeenth meeting of 100 Women Who Care Guelph in a great new venue at Cutten Fields, with 153 committed donations. What a great way to start our fifth year! Rosemary Fernandes-Walker presented on behalf of Guelph Y, in support of programming for women and girls. Monies donated would be used to sponsor financially disadvantaged women who have been invited to attend the Women of Distinction Gala and to provide support to The Power of Being YOU, a conference which brings together fem-identified youth from grades 7 and 8, to discuss matters affecting girls and young women. 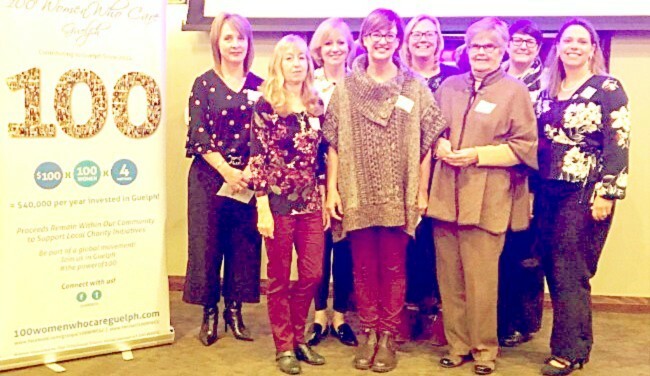 Peggy Brightwell presented on behalf of Hospice Wellington, a community organization which provides a multitude of services to support individuals of Wellington County (including their families and caregivers), living with a life-limiting illness. Their kitchen program emphasizes the importance of “breaking bread” to the emotional well-being of their clients, and Hospice Wellington is interested in purchasing specialized tables and chairs in support of that initiative. Barb MacKay presented on behalf of The Drop In Centre, a community space in downtown Guelph which offers a multitude of services, especially for those living on a limited income. It provides a place to meet with friends and have a meal, access shelter if needed, and connect with support services to improve quality of life, regardless of gender, socioeconomic status, sexual orientation, or any other factor. The centre would like to use funds donated to provide an emergency medical fund for clients in need. information members might need to make an informed decision. 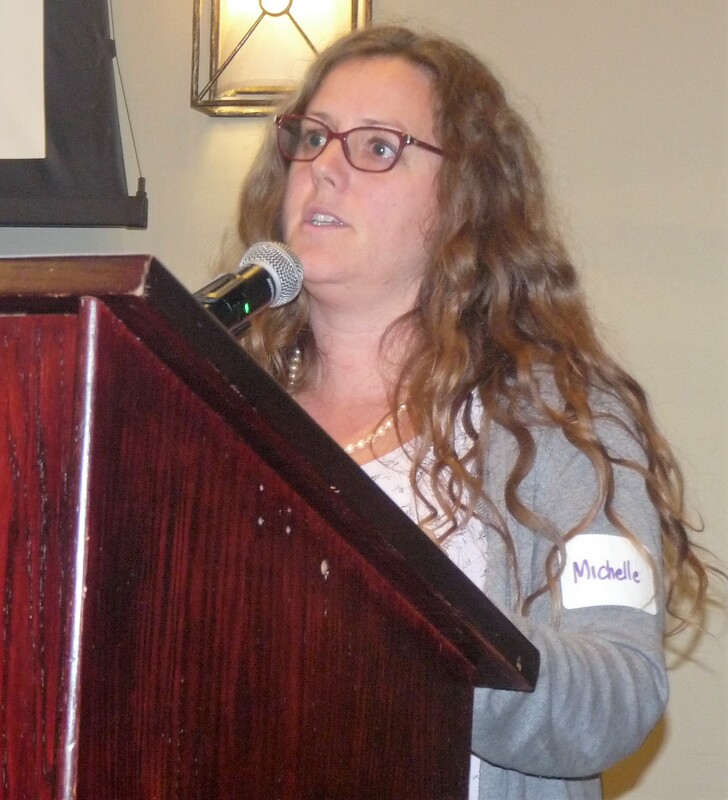 Michelle Henderson, the Executive Director of Shelldale Family Gateway. and if you help families you help children. represents was inspiring. To read the full transcript of her comments, follow this link. Our first chosen charity of Year Five is The Drop In Centre. Funds will be earmarked for a medical crisis fund which will provide support to clients in need of such things as hearing, vision and dental care, as well as some prescription products and personal care items which are essential for day to day existence. Member and Presenter Barb McKay, Gail Hoekstra of the Drop In Centre, and Tannis Sprott of 100 WWCG at the cheque presentation for October 2018. Once again, we had a ceremony and photo session to celebrate members who qualify for 3 year pins. 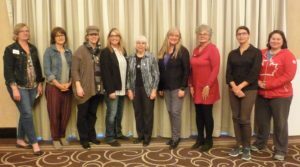 It is such a positive experience to see that our membership continues to grow and be sustained by women who are committed to making a difference within our local community. Congratulations to our most recent three year pin recipients! This entry was posted in Notes on Meetings on October 16, 2018 by Miriam Vince. Here at Shelldale we provide preventative programs for vulnerable children and their families living in the most marginalized neighbourhood in Guelph. Many of the families experience food insecurity and financial hardship, there are many single parent families and we have the most percentage of families living under the Low-Income Cutoff. As well, many of the new Canadians settling in Guelph come to the Shelldale Area. For this reason many of the children attending our programs experience financial, cultural, language and transportation barriers when attempting to be involved in any sport or recreation programming. We use a holistic approach which sees the child in the context of the family and the family in the context of the community. This means that if family is not thriving (poverty and other related stressors) then the family can be less able to focus on their child thriving. If the community itself is not thriving (poor housing conditions, poorly lit areas, crime etc) then the family is less able to thrive. This approach means that we support capacity building and community building events and programming, we provide programs for the siblings, youth, teenagers and parents in order to best support the whole family. In January 2018, the Ministry of Education amalgamated all of the Better Beginnings, Better Futures sites into one single EarlyON program for children 0-6 and their caregivers. The new guidelines mean that we are now unable to be spending our Ministry funding on the types of programs that support this holistic approach. We know the value of these programs and so have chosen to continue to fundraise in order to support these programs. 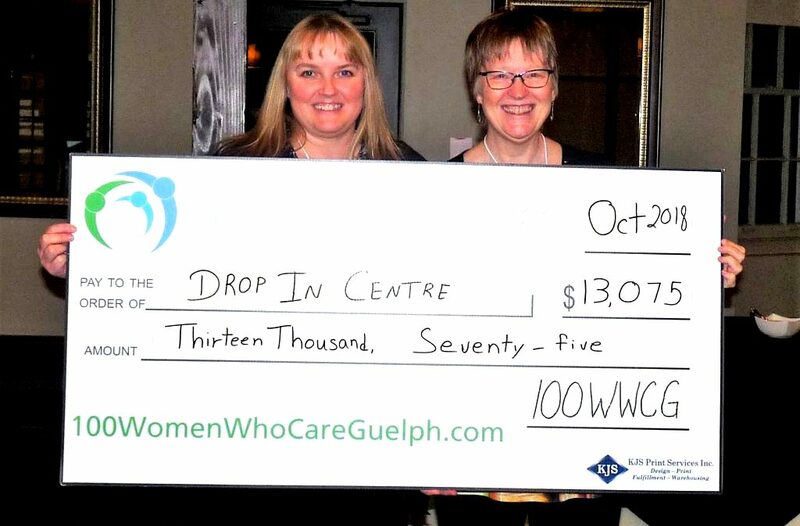 When 100 Women Who Care Guelph contacted us, it gave us the space to be able to continue to run these programs in a way that is meaningful for our families. This means that we feed children in programs (this helps the entire family), it means that we can buy shoes for children accessing our programs, it also means that we are able to pay more staff to be in program to help with the cultural and language barriers our children face as well as bring in more children to the program because we have more staff to supervise them. It has made an incredible difference for our organization. This is why this model of giving is so impactful, you can do so much more with a lump sum of money rather than $100 coming in here and there from donors. We are so grateful to have been chosen and we can’t thank this group of generous, community minded women enough. This entry was posted in Chosen Charities say Thanks on October 16, 2018 by Miriam Vince. 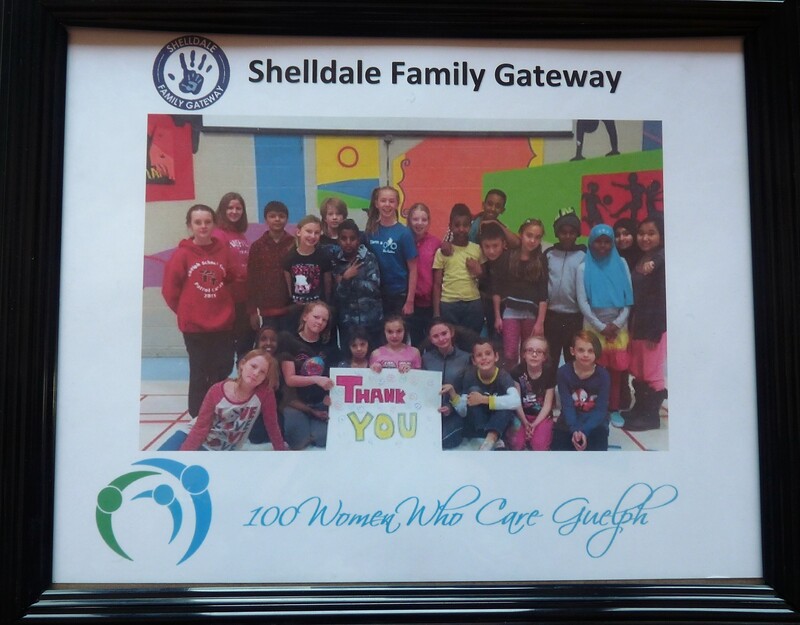 Shelldale Family Gateway is the Recipient of our Meeting Sixteen Donation! 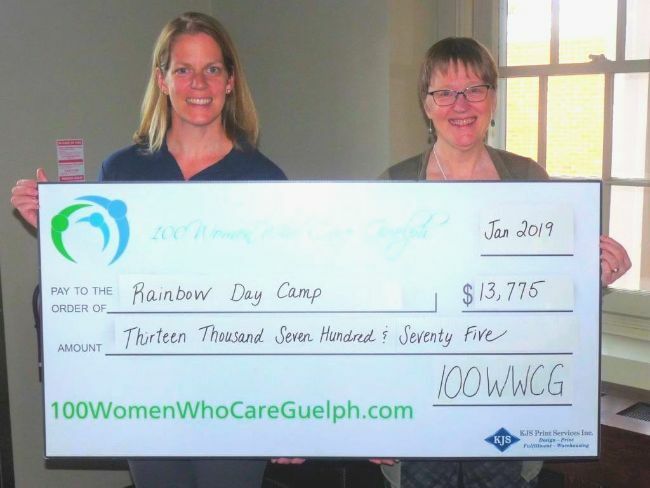 Our sixteenth meeting of 100 Women Who Care Guelph demonstrated that even during the hazy hot days of Summer, our members are committed to supporting local community organizations! 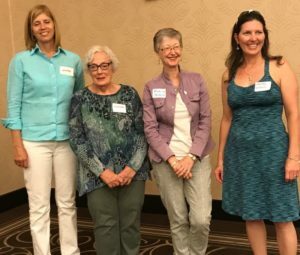 In spite of a torrential rainstorm which deluged Guelph an hour before our quarterly meeting, members braved the elements and joined us for a chance to listen to eloquent speakers making inspiring presentations for their chosen charities. We started off the evening with refreshments and a networking event sponsored by Irene Szabo of Home Group Realty and Sandra Lastovic of The Mortgage Centre, valued members of 100WWCG. Sharon Lewis delivered introductory remarks to the group, noting that at this last meeting of year four, 100 Women Who Care Guelph has 150 committed donations (individual donors and teams) and that the thermometer total at this time stands at $182,450. She also noted that at the conclusion of the meeting, we would have the opportunity to award 3 year pins to another 23 members. 100WWCG could continue to hold meetings at the the Delta and every member would pay a nominal fee (approximately $10 per year) to cover the cost of room rental. We could continue to hold meetings at the the Delta, but seek sponsorship from area businesses to cover the cost. We could search for another location which would be available to 100WWCG, at no cost. Members present were given an index card and asked to vote on these three options. Once all votes have been tallied, we will notify all members by email. 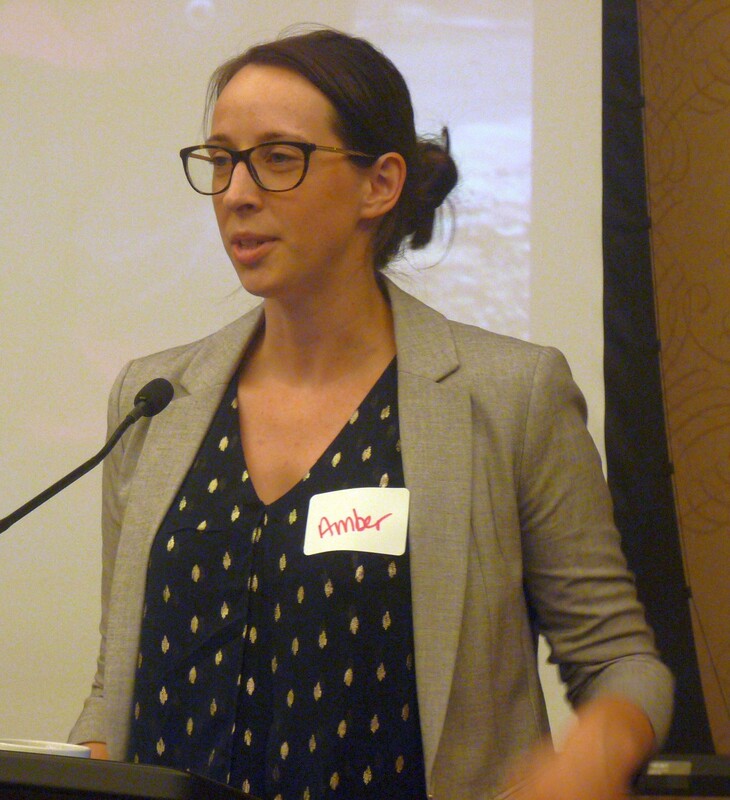 Amber Wood presented on behalf of Habitat for Humanity, an organization which mobilizes volunteers and community partners in building affordable housing and promoting home ownership as a means to breaking the cycle of poverty. Habitat for Humanity offers a zero down payment, interest-free mortgage, with payments which are geared to income. 2. Suzanne Longpre presented on behalf of Shelldale Family Gateway, a community hub located in the Shelldale Centre. Their multicultural approach strives to meet the needs of the Onward Willow community, offering programs and client support in more than 29 languages. With a focus on children, they offer residents of this underprivileged neighbourhood a variety of programs including preschool and early literacy programs, a breakfast club, an after school program for teens, adult ESL, a women’s circle and a summer camp program. 3. 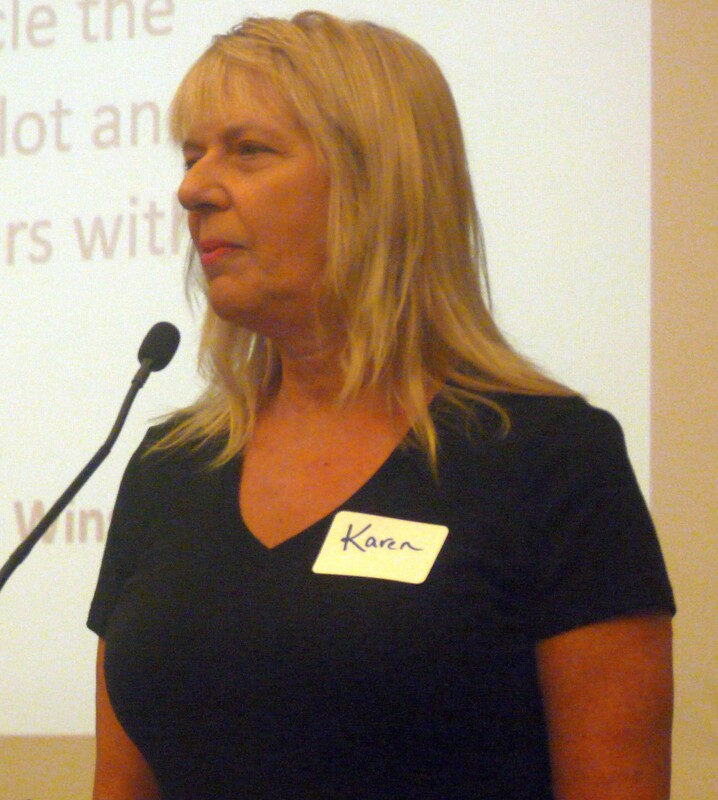 Karen McElroy presented on behalf of Pet Protect Guelph, a pet fostering program to help people who are precariously housed, women fleeing domestic violence, individuals recovering from a medical procedure and those who are seeking addictions treatment. Through their affilliation with Guelph Neighbourhood Support Coalition, it is the organization’s mission to provide a temporary, safe home for pets with selected foster families, while using science-based practices to optimize animal welfare. Following each presentation, members asked a variety of questions about each organization, the clients they serve and their funding models. This is a very important aspect of our meetings, because the more we know about the charities who present, the better we will understand their mission and value to the community. Your engagement with our presenters is essential to our mission. Most important, our members’ continued generosity is key to 100WWCG’s success and the success of the charities we sponsor. 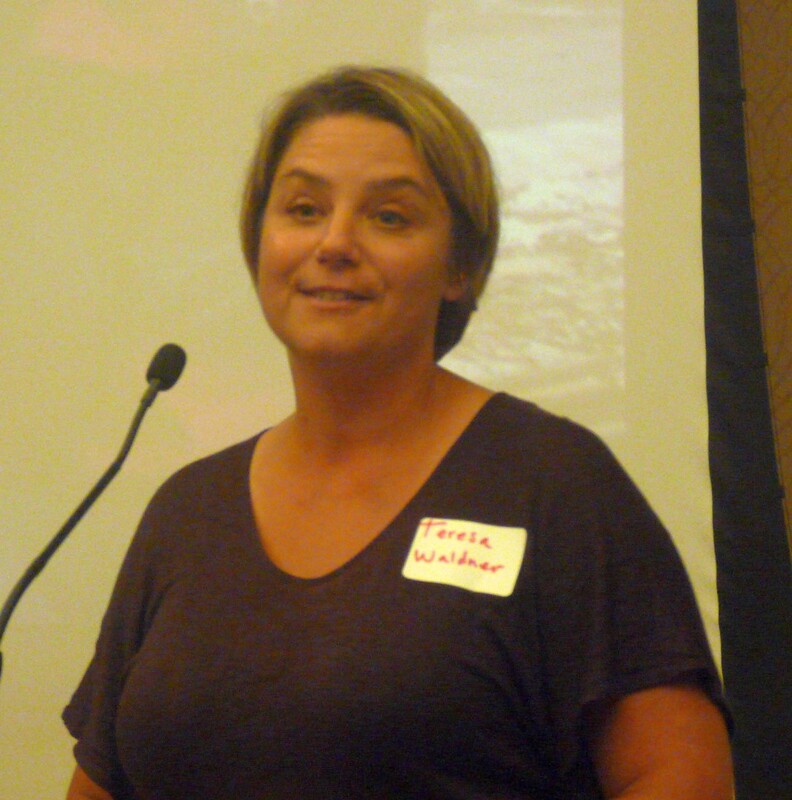 Teresa Waldner, Manager, Community Support Services for the VON, says “Thank you!” for our April Donation. While member votes were being counted, Teresa Waldner, the manager of Community Services for the VON Waterloo Wellington Dufferin (Victorian Order of Nurses), delivered an enthusiastic “Thank you!” to the group, She told members that VON rarely sees single donations of this size and that the funds donated will be used to provide increased service levels in our area, particularly related to program accessibility and mobility. To read the full transcript of her comments, follow this link. A ffew days after the meeting, children at Shelldale Family Gateway express their thanks for being chosen to receive 100WWCG’s Meeting 16 Donation. Following this heartfelt presentation, we learned that our July selected charity is Shelldale Family Gateway. When pledges come in from all members, our contributions will be directed towards providing support to valuable ongoing services for families in the Onward Willow Community. You can read more about these exciting plans in Tannis’s press release online. We look forward to hearing about the impact of that donation at our next meeting, in the Fall of 2018. Congratulations on receiving your three year pin! As the last order of business for the evening, Sharon handed out 3 year pins to qualified members and photos were taken of pin recipients in attendance at the meeting. If you missed the meeting, you’ll find instructions about how to send in your cheque below. We are also offering the option of making your payment online! This entry was posted in Notes on Meetings on July 17, 2018 by Miriam Vince. I want to thank you for inviting me here so that I can tell you about how your generous donation will be used within our organization and to give me a chance to thank you. A special thank you to Cathy and her husband Bob for nominating the VON to be the recipients of this donation. I would also like to thank Tannis who has been wonderful to work with over these past few months. We are absolutely beyond delighted to have been chosen to receive this overwhelming and generous donation. As many of you may know the VON is Canada’s oldest Health Care Organization. Last year we celebrated 120 years of service. Started by a woman in the late 1800’s (I always like to stop and acknowledge that fact), the Victorian Order of Nurses was brought about to address the lack of health care in rural areas of Canada where isolated citizens were often dying unnecessarily due to the lack of accessible Heath Care Services. Lady Aberdeen, the wife of our then Governor General, saw this inequity first hand and set out to address it. Over the century that followed, the VON became synonymous with home care and were instrumental during tragedies such as The Great Halifax Explosion, WW 1, the Influenza Epidemic and the Great Depression. In the 1960’s the VON started to provide Community Support Services to provide further support at home. Focusing on seniors and adults living with disabilities, Community Support Services endeavor to provide independence and dignity to those who need it. Our VON site, known as WWD, serves all of Wellington County and has an Adult Day Program in Orangeville. Tonight however, as yours is a Guelph Organization, I will focus on what programs your generous donation will be supporting. 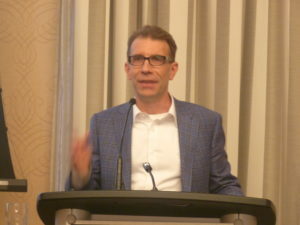 In Guelph our main programs are Meals on Wheel, Transportation, SMART Seniors Exercise, Friendly Visiting and Telephone Reassurance and our newest and most unique program, the Senior Supportive Living Program. All of which provide much needed support to the seniors and adults living with disabilities in your community. Because of the dollars raised by your empathy, we will be able to extend service to more clients and more importantly increase our accessibility and equity by providing subsidized rides and meals to those who are extremely marginalized. This has been an important pillar in the VON’s mission and your help allows us to strengthen that commitment to this community. I always use the analogy of bricks and mortar when explaining Community Support Services. I see Health Care delivered at home as the Bricks of home care. These are the clinical necessities to address the immediate needs of a patient due to illness or an adverse event. I look at the Community Support Services that we provide as the mortar that keeps those bricks in place. The rides to medical appointments, a hot meal, assistance navigating a health care options or a chance to improve someone’s mobility are all integral parts in care that allow those people to remain at home safely as long as possible and when most effective, they limit further preventable suffering. Community Support Services are not always seen as necessary, but when you experience their effect first hand, you see they are invaluable. Thank you to all of you for recognizing the value in what we do and giving us the resources to do more. This entry was posted in Chosen Charities say Thanks on July 17, 2018 by Miriam Vince. Thank you for inviting me to your meeting and giving me the opportunity to express how much everyone at the library appreciates your kind and generous donation. I want to give special thanks to Lisa Hood who nominated us and must have given a convincing argument for our case. I cannot thank each and every one of you enough! 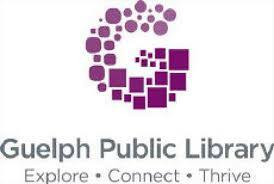 I’ve been at the Guelph Public Library for over 30 years and it’s a terrific place to work. We pay special attention to programming for children and I think that’s why we are so successful. We have the highest per capita circulation rate among libraries our size. It’s hard to believe, but we are now considered a ‘large’ urban public library! 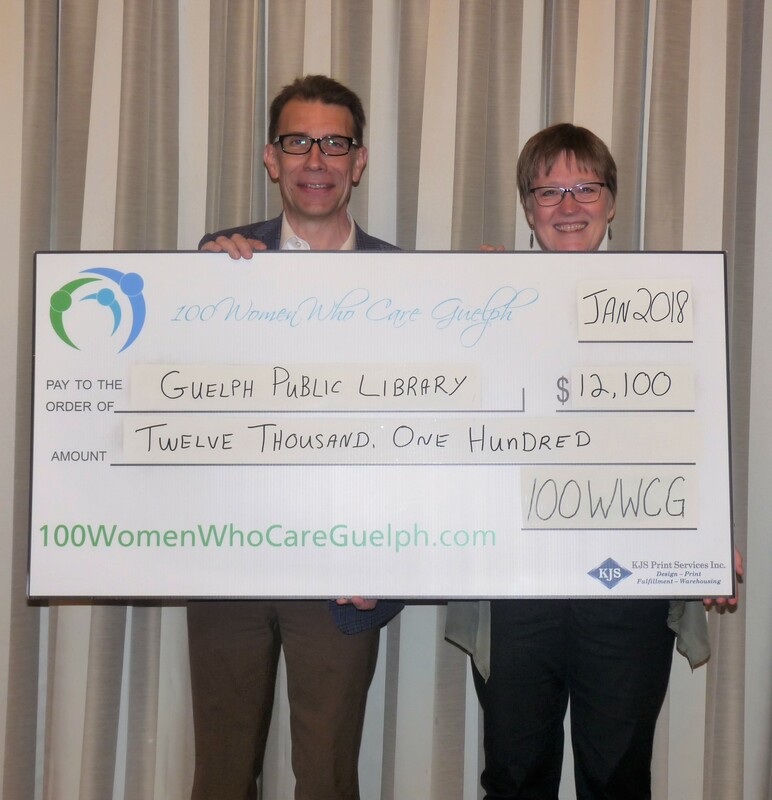 Steve Kraft, CEO of Guelph Public Library, delivers a wholehearted “Thank you!” to 100WWCG. One of our main commitments is promoting literacy. Reading is the most important tool a child can use to succeed in today’s complicated world. Our objective is to help as many children (and adults) in the city achieve that goal and one of our most popular methods is known as the Early Literacy Station. Actually, it’s a computer for children ages 2 to 8. Its interactive software holds over 70 programs with over 4,000 activities. The content spans all components of STEAM (Science, Technology, Engineering, Arts and Mathematics) education including reading, writing, phonics, math and problem solving, science, and social studies. 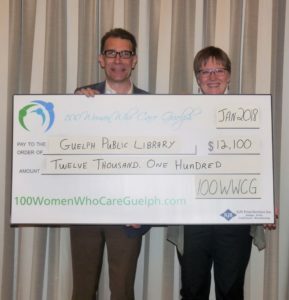 Steve Kraft, CEO of Guelph Public Library, receives a “big cheque” from Tannis Sprott of 100WWCG. It’s hard to believe but many children still don’t have access to a computer in their home. But they can come to the library and use one of ours. The Early Literacy Station allows children to attain early literacy and school readiness skills. We now have two stations in each of our six library locations. They get an abundance of use and happy abuse from their users. They cost approximately $4,000; that means your generous contribution has allowed us to purchase three new ones! This entry was posted in Chosen Charities say Thanks on May 4, 2018 by Miriam Vince. Three uplifting presentations and one successful charity! 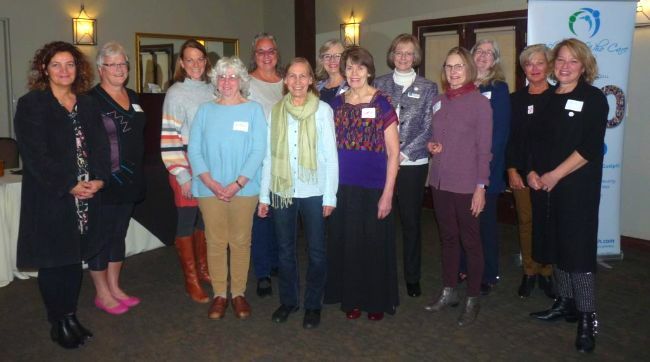 Our fifteenth meeting of 100 Women Who Care Guelph once again demonstrated the commitment of our 165 members, to supporting local community organizations! 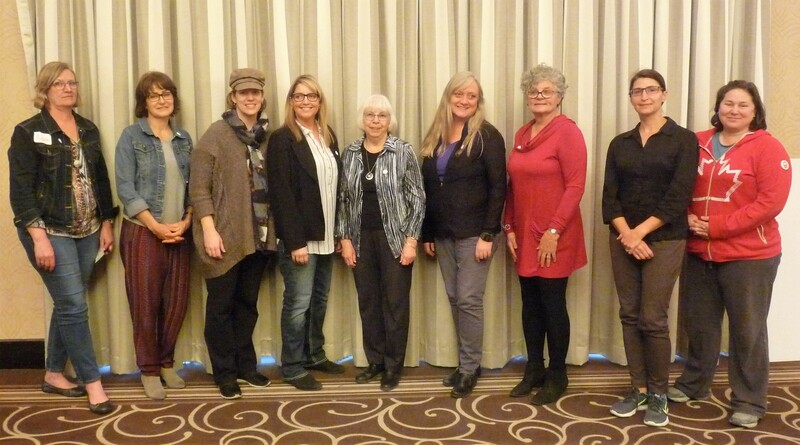 In spite of an ice storm which forced the postponement of our quarterly meeting, members rearranged their schedules and came out one week after the original scheduled date, for a chance to listen to enthusiastic speakers making compelling presentations for their chosen charities. We started off the evening with our new pre-meeting networking event sponsored by Irene Szabo of Sotheby’s Realty and Sandra Lastovic of The Mortgage Centre, valued members of 100WWCG. Diane Nelson delivered introductory remarks to the group, thanking everyone for rearranging their schedules and gave special thanks to the Delta Hotel, for making it possible for us to re-book our meeting on short notice. She also informed members that representatives from Best Version Media (Guelph) were in the audience and would be interested in taking a photograph of our group for publication in one of their local neighbourhood magazines. In light of the fact that there were several new members present, Diane reviewed the charity selection and voting process and took this opportunity to remind members that they have the option of making their donations by cheque or online through our website. organization that provides social and therapeutic gardening opportunities for people of diverse backgrounds and abilities, enabling personal growth, community membership, and environmental well-being. Based at the Ignatius Jesuit Centre, the initiative offers a variety of horticultural programs designed to heal people holistically. Programs are offered to schools, special needs clients and people served by Hope House. 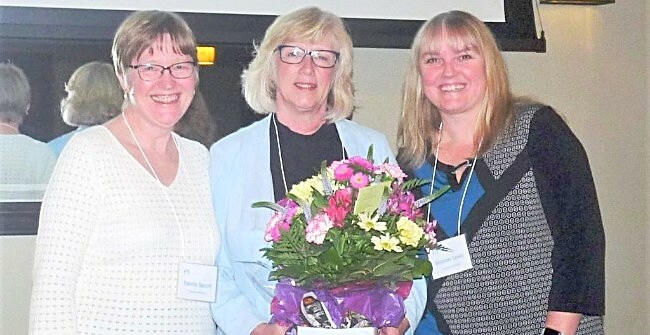 Cathy Bulych presented on behalf of VON Waterloo Wellington Dufferin (Victorian Order of Nurses), a charitable home and community care organization which offers home care, personal support, and community services designed to help people of all ages to get healthy and stay healthy. Volunteers provide respite care, Meals on Wheels and transportation to medical and rehab programs for seniors and those dealing with long term illness. Stacy Cooper presented on behalf of Habitat for Humanity, an organization which mobilizes volunteers and community partners in building affordable housing and promoting home ownership as a means to breaking the cycle of poverty. Habitat for Humanity offers a zero down payment, interest-free mortgage, with payments which are geared to income. All partner families and individuals and individuals are required to contribute up to 500 hours of “sweat equity” by volunteering in construction, office work and fundraising. Following each presentation, members asked a variety of very insightful questions. This is so important, because the more we know about the charities who present, the better we will understand their mission and value to the community. Your engagement with our presenters is essential to our mission and as always, our members’ continued generosity is key to 100WWCG’s success and the success of the charities we sponsor. While member votes were being counted, Steve Kraft of Guelph Public Library gave a wholehearted “Thank You!” to members for our January donation, which was used to purchase Early Literacy Stations for branch libraries within the system. These stations, valued at approximately $4,000 a piece, provide a wide variety of learning experiences including reading, writing, phonics, math, science and social studies to children aged 2 to 8 years. Most important, the units provide a learning experience which is engaging and entertaining for children, fostering a love of the library experience and incredible enthusiasm for learning. The library had a goal of installing two of each of these ELS in each branch and our donation has substantially helped to achieve that goal. Three year pin recipients were honoured and photographed. Congratulations! Following his very entertaining presentation, Stephanie Birt of Blue Ocean Office Supplies handed out 3 year pins to qualified members and photos were taken of pin recipients and of the members in attendance at the meeting. Once these activities disbanded, we learned that our April 2018 selected charity is VON Waterloo Wellington Dufferin (Victorian Order of Nurses). When pledges come in from all members, our contributions will be directed towards providing subsidies for seniors and disabled clients who lack adequate funding to make use of their services. We look forward to hearing about the impact of that donation at our next meeting, on July 16, 2018. You can read more about these exciting plans in Tannis’s press release online. This entry was posted in Notes on Meetings on April 24, 2018 by Miriam Vince.